Do you remember good old LEGO Designer Sets from 2004-05? Besides the main build, each of them featured a thick ideas book full of alternative models. To be honest, not all of those models were top-class, but the joy of building not one, but 50 different robots or cars was overwhelming. Serge S shows us that even though the times have changed, the bricks are all the same. Each set contains as many cool creations as your imagination can produce. 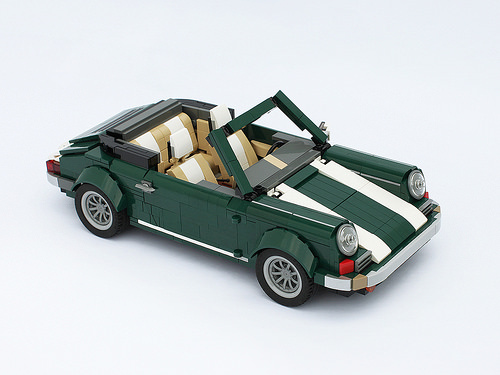 I bet you’ve already recognized that the lovely 10242 Mini Cooper set provided the parts that Serge has used for his creations. 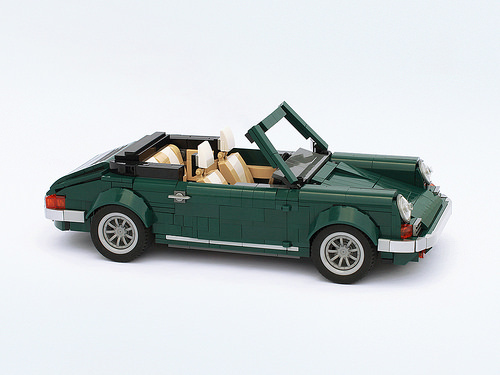 To be specific, the Porsche above required a couple of Mini Coopers, and this is the second version of the car. The first one (below) was built entirely from 10242’s pieces, which is why it has more white parts. But how about another alternative car? Not a sports car, but a heavy truck. 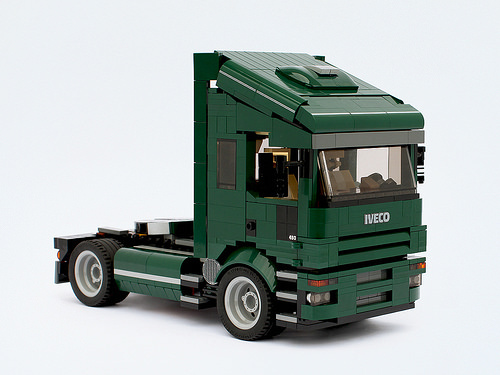 This not just any old semi, but a scaled-down version of an Iveco truck. Building one even with unlimited parts would not be a trivial task, but doing so with a just these parts is what makes these models true masterpieces of their kind.